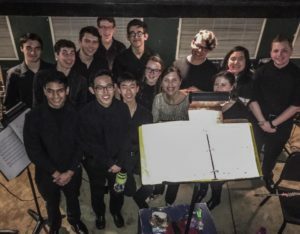 Each spring, the entire performing arts department at Westview High School (band, choir, theatre and dance) combine forces to stage a large, musical production. Westview Band members compose the pit orchestra for the production. This is a unique experience that further challenges students in music while inviting them to be part of something much larger than their product. Pit Orchestra members earn points toward their Band Letter. Auditions happen in early December and a schedule of after-school rehearsals will be published before Winter Break.